Ah, conferences. Those multi-day, exhausting events where like-minded individuals gather together to wax poetic on a specific subject. Generally, I’m not a fan. The last one I attended was in the field of theatre. I was a fundraiser, writing grant proposals for a not-for-profit organization in Los Angeles, when I was sent to a national conference to network with fellow arts professionals. I knew the moment I arrived that I didn’t fit in. My fellow theatre administrators were…peppy. Crazy outgoing. And they all seemed to know each other. Conversations erupted around me at every turn. The few times I did engage with someone I realized I was way out of my league. Soon after, my new friend turned his back to me and started a conversation with someone else. Needless to say, I avoided conferences from then on. But then, I found out about the Writer’s Digest Annual Conference in New York City. I was intrigued. I’d spent months home alone, writing and living in my head. I was ready to get out, learn more about the craft, and *gasp* network! But I was nervous. The conference, the hotel, the train ride — it all added up. Would it be worth the cost? Would the sessions be of value? Would I fit in with my fellow attendees? Let me just say this upfront: the weekend was incredible. The hotel was very nice (albeit expensive — no breakfast buffet should cost $48), and I had an entire weekend of ME time. No dishes, no laundry, no kid. That alone made the trip worthwhile. But man, the conference. 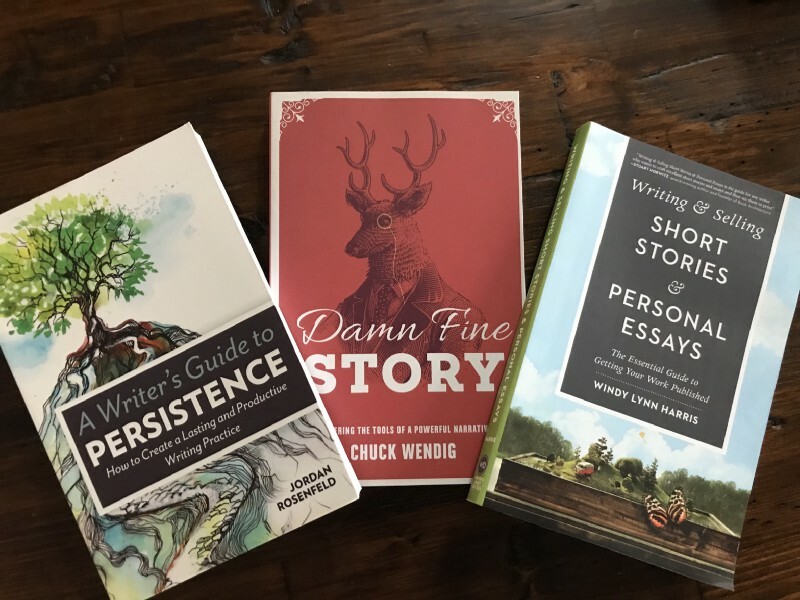 Let’s start with the sessions: Crafting Flash Fiction, Suspense Essentials, Enriching Writing with Imagery, Avoiding the Mid-Story Slump, Mastering the Functions of Great Dialogue, Page-Turning Tension… These were just a few of the sessions *I* attended. There were so many more, not to mention incredible keynote speeches from Cassandra Clare, Walter Mosley, and Jeff VanderMeer. I ended each day feeling a tad overwhelmed, but mostly inspired. I now have an overwhelming urge to go back to my previously written stories and infuse them with rich dialogue, descriptive imagery, and tense conflicts. I want to craft new flash pieces and personal essays and dip my toe into the YA and middle-grade waters. I want to create fiction that would make my fellow attendees proud to read. The writers at the conference? Those are my people. Unlike my past conference experience, I was not the shyest person in the room. But it didn’t matter. The writers I met were all incredibly friendly and there was a general understanding that we’re all pretty introverted, so it’s cool. Join in or hang back. It’s all good. We’re all in this together. I found the conversations with my fellow attendees enlightening. We shared tips on writing, compared rejection stats, and commiserated over the difficulties of getting into top-notch publications. We brainstormed, collaborated, and talked through ideas during session breakouts. We soaked up the advice of the speakers, hoping to glean some insight into their success. It felt good to connect with others who share my passion for the written word. Hell, after months of solo writing, it felt good to connect with anyone. But it helped that these are people who are facing the same challenges as me. When the conference ended, I said goodbye to my new friends, rode the rails back upstate, and within 24 hours was sick with the worst head-cold I’ve had in a year. I’m just now sobering up from the cold meds and trying to review my scribbled notes from the weekend. So much to process. Flash: “Rely on implications, don’t be vague, imply something about someone’s life — no abstractions.” Suspense: “Slow down what other writers speed up, speed up what other writers slow down — draw out those moments of the story.” Imagery: “Sight is the most predominant sense you’ll use — talk about what the characters see, draw upon a remembered visual, use weather or setting to reflect a character’s mood.” Fifty pages of notes in all. Somehow, I now have to make sense of them and incorporate them into my work. But it’s ok! I’m inspired! I even walked away with some great books that I look forward to reading. Craft new micro- and flash fiction. Pitch a personal essay to a reputable publication. Be invited back to be a session speaker someday. Submit the hell out of my work. She’s right. And I will. I can’t say enough about the impact the weekend had on me. I met new friends. I learned so, so much. And I’m more excited than ever to write and send my work into the world. And, dare I say, it even changed my opinion of conferences.